What happens to us when we lose a last living link with the past? 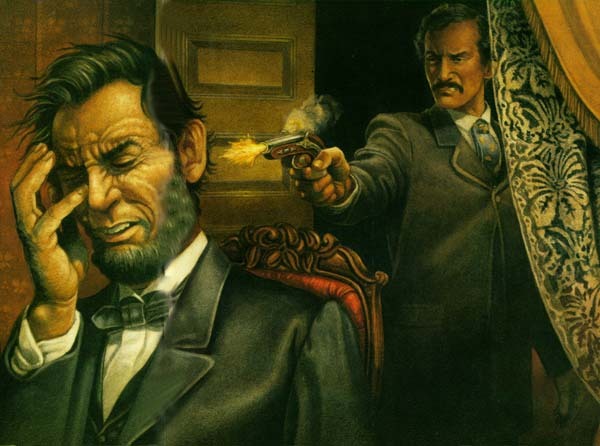 With Lincoln's words in mind, consider what happens when living memory fades and we break historical trust with the past. 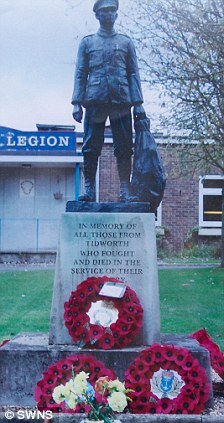 Before and after a war memorial theft in Tidworth, Wiltshire, UK. 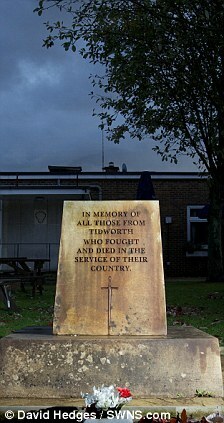 Images Source: Daily Mail. Today's rising technocracy gushes constantly about the present and future. Technology's data flood has created a culture that commonly disregards, dismisses or defiles the past. At best, it rearranges the past in mix-'n'-match postmodern terms, where ancient China can be juxtaposed with Victorian England with no sense of anachronistic confusion, and everything earlier than 1950 is one big jumble of random historical details in the cyberpublic's mind. That ignorance of historical continuity, so promoted by cyberculture, is a bad sign. 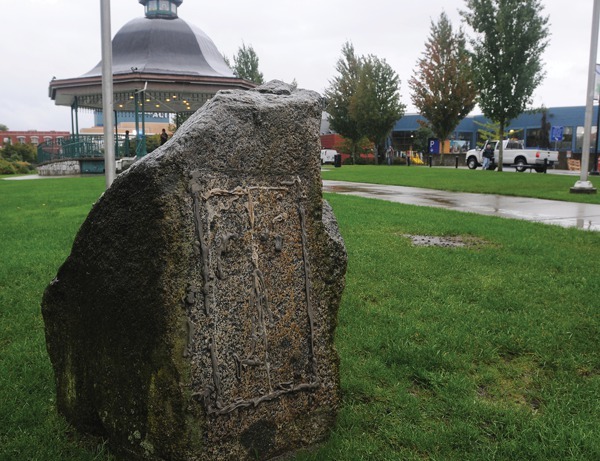 "The bronze plaque was stolen off a granite boulder in Memorial Peace Park, off 224th Street in Maple Ridge [British Columbia, Canada]." Image Source: Maple Ridge News. 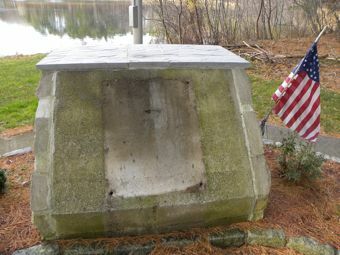 A war memorial stripped of its bronze plaque, in Witek Memorial Park, Derby, Connecticut, USA. Image Source: Valley Independent Sentinel. If anything, the thieves' disconnection from history is an ill omen, which promises a return of widespread conflict. "If ye break faith with us who die, We shall not sleep ..."
Good article, ToB, with a good title... brings to mind a proverbial ghost in the machine. "ignorance of historical continuity, so promoted by cyberculture, is a bad sign." I agree. And maybe the apparent lowering-of-morality's-bar can be blamed on the recession, as well as the "technocracy" (apt term, that)... but it seems as if some, more insidious decline is also indicated. What is really creating this new strain of mass-"functional" psychopathy which actually seems to be celebrated lately? Devolution? Case in point: "What Psychopaths Teach Us About How To Succeed"